Will this year see the first Jubilee in centuries? Rashi immediately jumps on the opening Posuk of Parshat Behar and asks "Were not all the commandments stated from Sinai?" Rashi answers that just as regarding the Sabbatical Year there were stated its generalizations and its details and its minutiae from Sinai so were all the Laws of the Torah so stated." 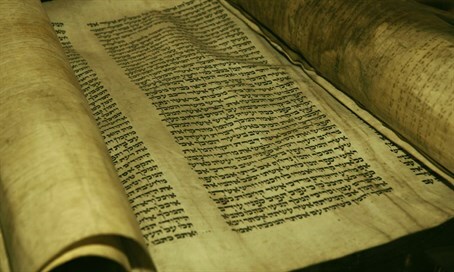 Israelites must meet to maintain their possession of the Land; for just as Scripture states regarding the forbidden sexual relations that in account of transgressing them the Land would disgorge the Israelites (above 18:28, 20:22) so does it state in the Torah portion of Bechuktotai regarding the Land's Sabbaths. In order for Scripture to state the threat of Exile for not observing the Sabbatical years it was necessary to mention first the Laws of those Sabbaths." It was as though the Jewish People were re-created after their fall from grace at the time of the Golden Calf. The world was a vastly different place after the Eigel. Indeed, with the giving of the second set of Tablets G-d commanded Moshe about making a new covenant as it is stated, " Behold, I seal a covenant. "(Exodus 34:10) "You shall count for yourself seven cycles of Sabbatical Years, seven years seven times; the years of the seven cycles of Sabbatical years shall be for you forty nine years" (25:8). "You shall sound a Shofar of wailing in the seventh month on the tenth of the month; on the Day of Atonement you shall sound the Shofar throughout your land"(25:9). The Chatam Sofer says that the Yovel commences upon the completion of forty nine years based upon the Lunar calendar (355 days per year) even if 49 "solar years" (365 days per year) have not yet elapsed. The Chatam Sofer says the reason for the 10 day interim period is to ensure that the entire 49 year period has been observed from both the perspective of the solar and lunar years. The Chatam Sofer further points out that during a Yovel Year since the first 10 days are incorporated into the previous year there are only 345 days to a Yovel Year. The Gematria for "Moshe" is also 345. "How appropriate that this most sacred of all years should consist of 345 days." Moshe almost reached the 50th Gate of understanding of Hashem (Rosh HaShanah 21b). Bnei Yisrael also spent a total of 345 days at Har Sinai(Rosh Chodesh Sivan until the 20th of Iyar) indicating a Holy and Sacred time frame represented by the Yovel. The Chatam Sofer further points out that had Bnei Yisrael entered Eretz Yisrael as originally planned we would have arrived there at exactly the fiftieth Yovel since Creation. The calculation is based upon the fact that Klal Yisrael left Mizraim 2448 years after Creation(50 cycles of 49 years each= 2450 years). The Chatam Sofer was hopeful that the 112th Yovel since creation corresponding to the year 1827 would bring the Schechinah back to Eretz Yisrael. Unfortunately, we have had to wait longer. Based upon the Chatam Sofer's way of calculating the Yovel, the last Yovel we passed was in 1973 (117X49) which was the year of the Yom Kippur War(The Yovel started Bo BaYom that year). The Yovel stands for "Dror" which is translated as Freedom. Despite the Yom Kippur War's high casualty count we defeated our enemies and brought some degree of Peace with Egypt. The next Yovel according to the Chatam Sofer would be 2022 (5782 which is 118X49). However, according to Rabbi Yehuda while the second Beit Hamikdash stood Yovel Years were 3415 plus 50n where 1<=n<=9 (3415 was the year before the counting of Yovel began in the time of the 2nd Beit Hamikdash. According to Rabbi Yehuda in times of Galut the Yovel is counted differently. When the 2nd Beit Hamikdash was destroyed Yovel switched to: 3816+49n where 1<=n<=44(3816 was the year after the last Yovel counted of the 2nd Beit Hamikdash). According to this way of calculating the last Yovel Year was 5727 (1967) the year of the Six Day War and Yerushalyim was liberated. This was the 48th Yovel since Ezra in 3416. Based upon this analysis the Yovel Year 49 years later is the year we are now in 5776 (2016).This is a Blessed and Sacred Year. Great Expectations with G-d's Help will be fulfilled.